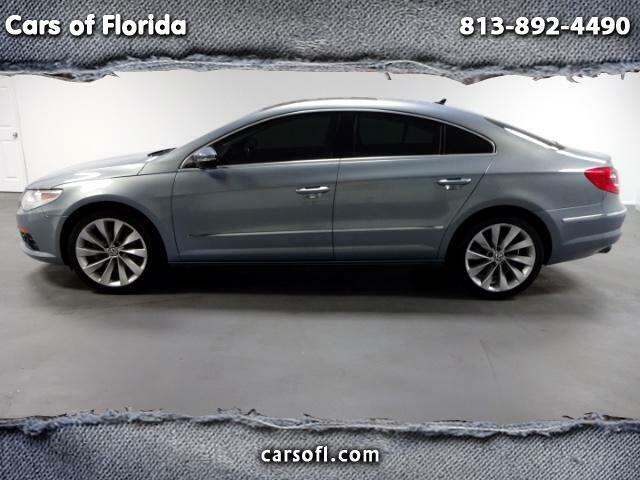 Cars of Florida is proud to announce this impeccable 2011 Volkswagen CC Luxury Limited. This vehicle has a clean Florida Title and was pampered throughout its two owner only ownership. Vehicle is equipped with power everything, wood trim and a extended dark black glass panoramic roof. This color is to die for! Diamond Silver blue exterior paint is impeccable with little to no imperfections. Vehicle drives like brand new with true German Autobahn inspired feel in every twist and turn. Vehicle comes with two keys, all books and manuals and is also equipped with Navigation and a turbo charged engine. We have financing options for every credit situation and accept all trade-ins running or inoperable. We will buy your car even if you do not buy ours. Call us today to explore your options.